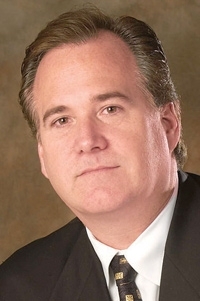 AutoNation's Gary Marcotte: Competition forces changes. AutoNation, the industry's largest auto retail group, plans to tell its customers all about its cars and trucks, as well as the competition's. And if that results in an AutoNation customer driving down the street to buy a competing retailer's car - well, better luck next time. "Customers are telling us, 'This is how I want to do business,'" says Gary Marcotte, AutoNation's senior vice president of marketing. "If we don't do this, our competitors will." The dealership group will use a new iPad application that will put vehicle specs, prices and consumer reviews of all of its vehicles at the fingertips of its customers. In addition, the computer program eventually will allow consumers to make on-the-spot comparisons between a vehicle offered for sale by one of AutoNation's 242 franchises in 15 states and any other vehicle on the market, even if it's sitting on a competitor's lot across town. The application is being developed independently by CarZen, a New York firm formed in 2008 to create vehicle inventories for online auto shopping. AutoNation intends to become the first dealer group to use the app in selected markets next month, and to take the concept nationwide in the weeks that follow. In its startup phase, the CarZen system will let consumers cross-shop competing models from home on their own iPads or use the app on a dealership iPad provided by an AutoNation salesperson. An AutoNation customer considering a Ford Focus, for example, would be able to bring up product details and pricing information quickly about the Honda Civic and Chevrolet Cruze, including media reviews written about the competing vehicles. In the next few months, the CarZen app also will tell AutoNation shoppers which of those competing models are in stock at competing dealerships in a given local market. The occasional discomfort of seeing a customer walk out to buy a vehicle from a competitor will be minor compared with the consumer-friendly attraction of providing a credible and in-depth shopping tool, Marcotte reasons. He adds that because CarZen is creating the app specifically for AutoNation, the retail giant will be able to feature its own offerings more prominently on the search page than competitors' products. Marcotte says details are not final on how the iPads, which start at $499, will be distributed to AutoNation's dealerships to use the new tool. "Our competitors already have their information out there," he says. "And our customers can already find it. If we're going to provide information, we have to give it all to them - not just the data we like. Otherwise it looks like we're trying to stack the deck against them." CarZen CEO Nikhil Gidwani said the system will roll out fast. "The iPad is quickly taking over the computer market," Gidwani says. "Gary and his team are eager to move into new ways of reaching their customers. And they want to move fast."